Editor's note: Today we hear from Humza Teherany, CIO of Compass Group Canada and CEO of Compass Digital Labs, a subsidiary of Compass Group PLC, a global food and support services provider who serves millions of people around the world every day and employs more than 500,000 employees worldwide. Learn how Compass Group switched to digital signs powered by Chrome to boost its digital marketing efforts in restaurants and coffee shops across Canada. To learn more about how Chrome devices can be used to engage your customers, watch this recorded Hangout. How do you design your digital strategy when you're part of a 20-year-old business with many brands, many partners and 32,000 employees in Canada? I faced this challenge when I joined Compass Group Canada leading technology and innovation four years ago. My top goal was to use technology to better consumer experiences and in turn grow our revenues. Compass Group relied on Google Apps already, so when we needed to revamp our digital signage, we turned to Google. Over the past two years, our technology field services teams, led by Jugveer Randhawa, installed more than 200 Chrome digital signage devices in our retail locations. We plan to add an additional 100 devices by the end of 2017. Before we switched to Chrome, our store managers were bogged down by running all of our in-store marketing campaigns. The screens we used weren’t connected to the internet and had to be manually managed on-site, one by one. Store managers had to upload new images every time we wanted to promote a new menu item, daily special or social media contest. By modernizing our approach using Chrome digital signage, we’re saving hundreds of hours each week on this formerly time-intensive process. Today one marketer can manage dozens of campaigns in stores across Canada using Chrome Device Management and our signage software. Adopting a digital-first approach means that Compass Group Canada can measure the return on its marketing investment, and Chrome is a key part of this. 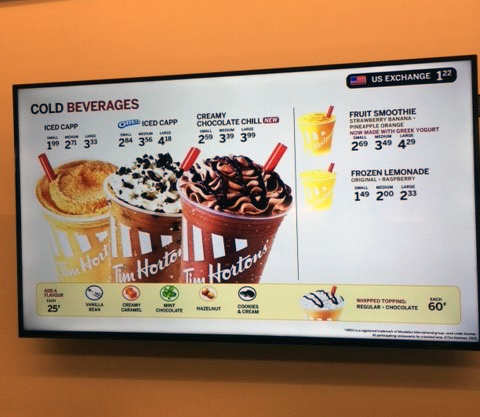 Each digital signage device costs about half as much as competing options, so we get more for our money. We use third-party software to analyze data from Chrome devices, so our marketing team sees how campaigns are performing right away. If we advertise a new pumpkin latte at a coffee shop, for instance, we can compare how many people saw our ad and how much our sales increased across stores. 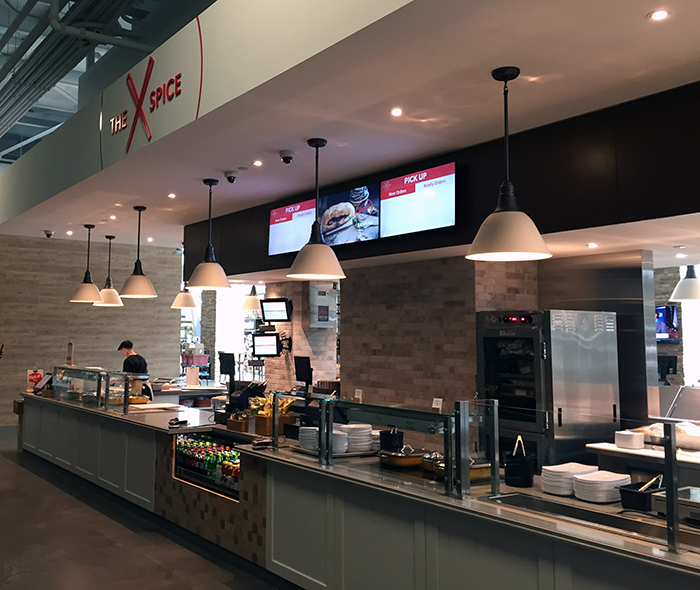 Since switching to Chrome digital signage, Compass Group Canada has seen a 2-4% boost in sales from our marketing promotions, which is significant for a company that makes approximately $2 billion in annual revenue. Chrome digital signage is part of a broader cultural shift at Compass Group. This year, we launched Compass Digital Labs, an offshoot dedicated to improving consumer retail experiences by building new technologies like mobile payment apps, on-site kiosks and wearable payment solutions. Our digital-first strategy encourages us to try techniques like event-triggered marketing — promoting hot chocolate when temperatures dip below freezing, or offering a two-for-one beer special at stadiums when the home team's winning. Consumer behavior is constantly changing, and we’re seeing how important it is to reach savvy customers on mobile, social and in stores. Our digital marketing strategy allows us to connect consumers with the right offers at the right time. Millions of people visit our retail locations every year, and with Chrome we can reach them all with the latest content. We are a digital marketing company that is specialized in providing SEO services so that you stand out and get your website found by your target audience. Our team of SEO experts knows all the ins and outs about optimization of improving the visibility of your website!